Tracey graduated from the Creative School of Hair Design and has been a hair stylist for over 30 years. Tracey is certified in Goldwell and Tocco Magico color lines. 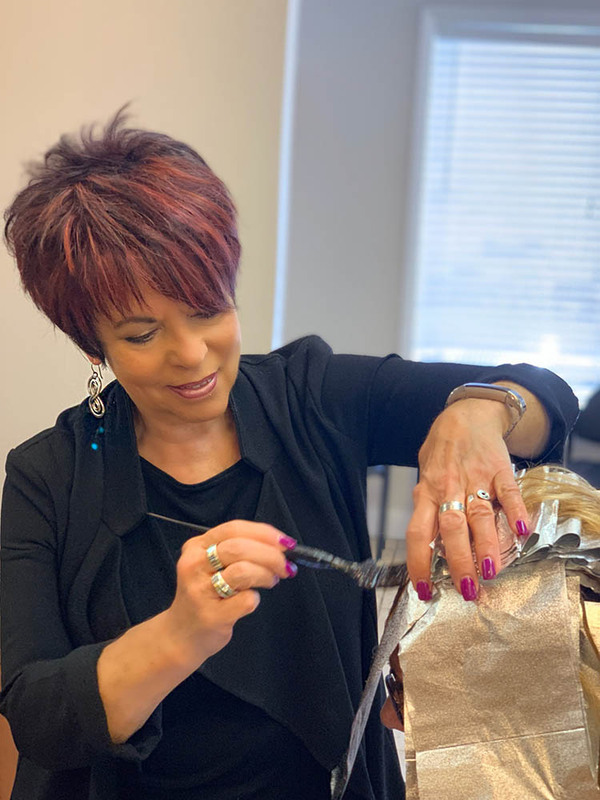 Her specialty is in highlights and foiling, keeping abreast on the newest trends by attending classes throughout the year. Tracey is also one of our wax specialists! Tracey always puts her clients first and enjoys getting to know each person individually. Angie has been a hair stylist for 35 years. 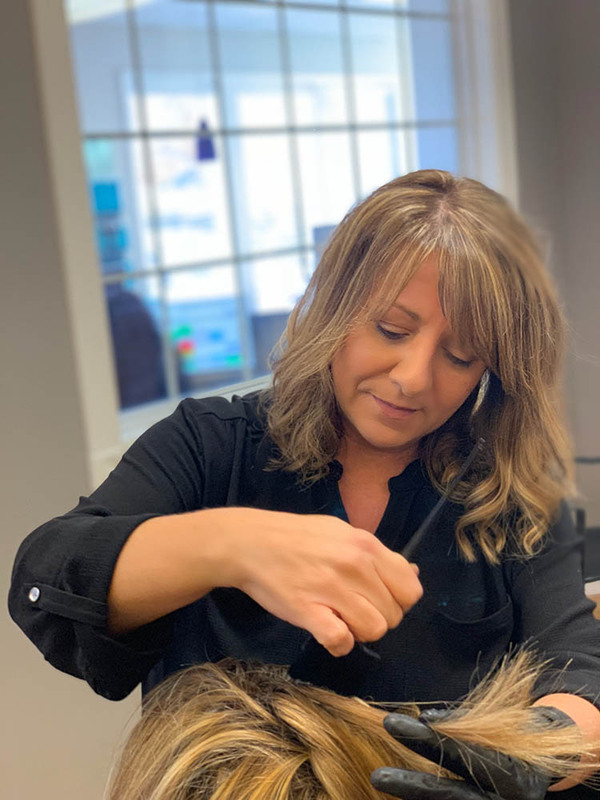 After graduating from the National Academy of Hairdressing in New Britain, Angie has become known for her color and foil talent, beautiful updos, and razor cutting. Over the years Angie has accomplished many techniques and acquired many certifications in the industry, taking a particular interest in Goldwell Color. Along with being very passionate about work, Angie makes clients feel beautiful each and every day. Bev has been a hair stylist for over 40 years. After graduating from the National Academy of Hairdressing, Bev was an owner of the Southington Salon before the merge with Sculptures. While experienced in all different phases of hair dressing, Bev takes special interest in hair color, as well as cutting. Bev is very passionate about the hair industry in addition to making her clients feel their best. Lori has been a hairstylist for 23 years; graduating from the Creative Crown Academy. Specialties include updos, razor cuts, and foils; however Lori does take special interest in color and hair cutting as well. Lori is also certified in Tocco in addition to Goldwell, and simply smooth treatments. 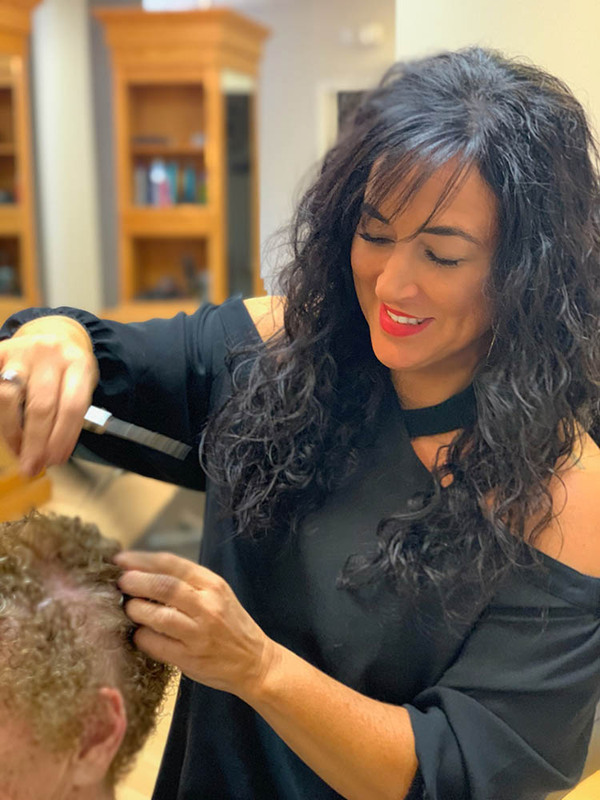 Lori continues to further her knowledge in all aspects of hair to ensure her clients get the best experiences each time they come to the salon. Maria has been a hairstylist for over 27 years, and a vital asset to the Sculptures team for 9. Maria is a graduate of The National Academy of Hairdressing. Over the years she has trained extensively with top educators including Goldwell, Redkin, Aquage, Paul Mitchell and KMS. Maria has many specialties including color, cutting and up-styling. 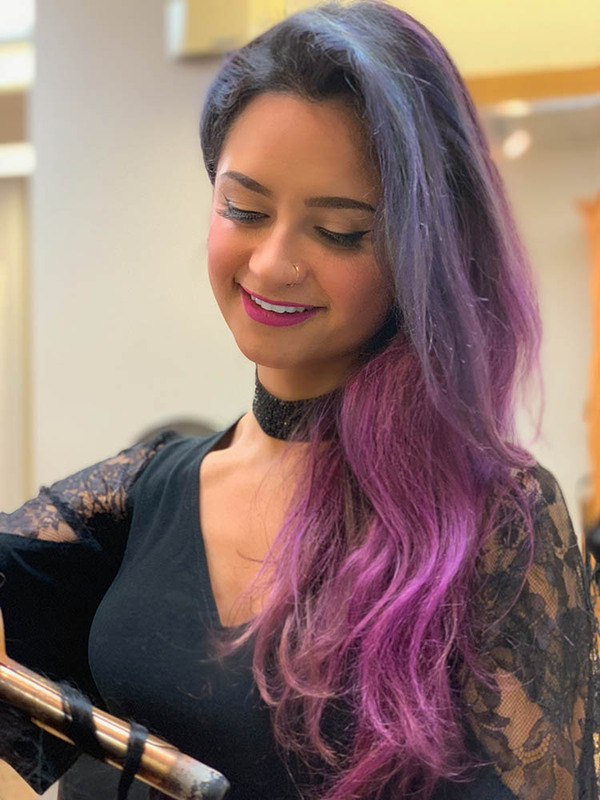 To make sure she is up to date with the latest styles and trends, Maria attends classes throughout the year on the newest cutting and coloring techniques. Lori has been a valued member of the Sculptures team for 35 years. She is a graduate of The International Academy of Hairdressing, and was also delegated to the State Board of Cosmetology for 4 years. 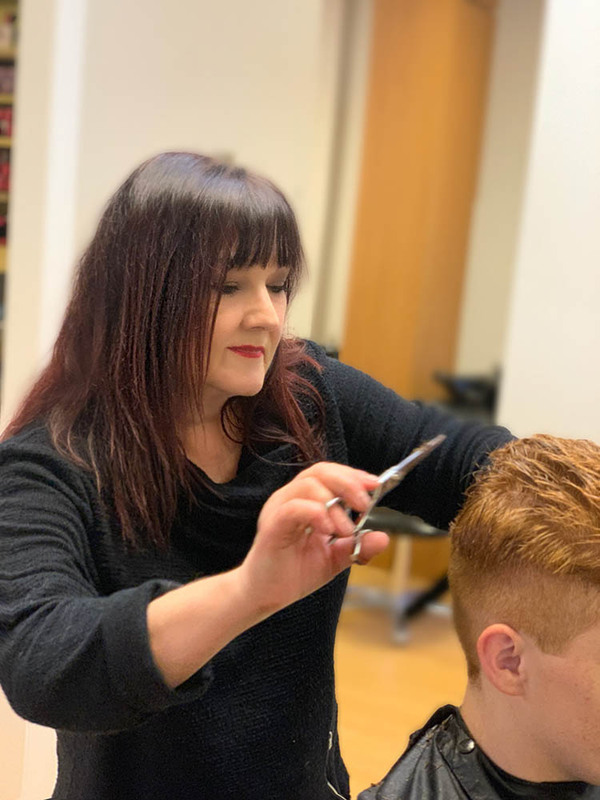 Lori masters her color and cutting skills by taking advanced classes throughout the year to keep updated with the latest coloring techniques. This advancement in color knowledge makes Lori brilliant at color corrections and corrective services. Not only has Lori competed both nationally and statewide placing in the top 3 in all competitions entered, but was also an alternate on the 1st placing U.S. Men’s Team.